Cody Wyoming Firearms is a new firearms sales business. In 2016, the opportunity arose to take over Inventory of an existing Firearms business, Davis Trading Co. The existing Customer base and Vendor list was essential in the success of the transfer and startup of Cody Wyoming Firearms, LLC. 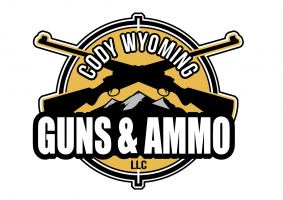 Cody Wyoming Firearms was formed as a Wyoming based Limited Liability Company located near Cody, Wyoming. Cody Wyoming Firearms, LLC is working hard to become a reliable and trusted firearms company. By leveraging a well thought out business plan executed by a skilled management team, Cody Wyoming Firearms, LLC will exist for years to come to serve our customer base by focusing on the pursuit of 100% customer satisfaction. Cody Wyoming Firearms offers a large variety of rifles, pistols, ammunition reloading supplies and accessories. Special ordering is a key part of the business. Cody Wyoming Firearms strives for 100% customer satisfaction by selling "The Best Products at the Best Prices." We also strive to be good corporate citizens in the community we live in. Cody Wyoming Firearms, LLC is just (5) minutes North East of Cody, WY at the Cody Wyoming Trout Ranch on the Shoshone River. This firearms sales store is located in the same building as the Cody Trout Ranch Camp office.